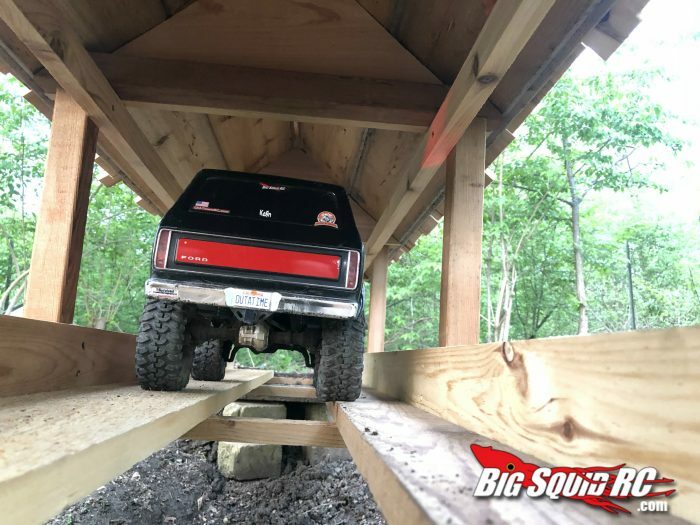 Everybody’s Scalin’ – Scale To The Future « Big Squid RC – RC Car and Truck News, Reviews, Videos, and More! The scale world is booming right now. It’s true everybody is scalin! Body options are a lot more prevalent than in the past. Pro-Line is killing it right now with the 1946 Dodge Power Wagon they released over the winter. With the slight re-release of the Power Wagon it gives me hope for a new version of the Ram Charger they had out. We are even starting to see a lot more RTRs come with detailed bodies. For example, the Traxxas TRX4 Bronco has got to be the best looking RTR truck at this time. Let’s also not forget the scale gods at RC4WD with the new Toyota Tacoma body. 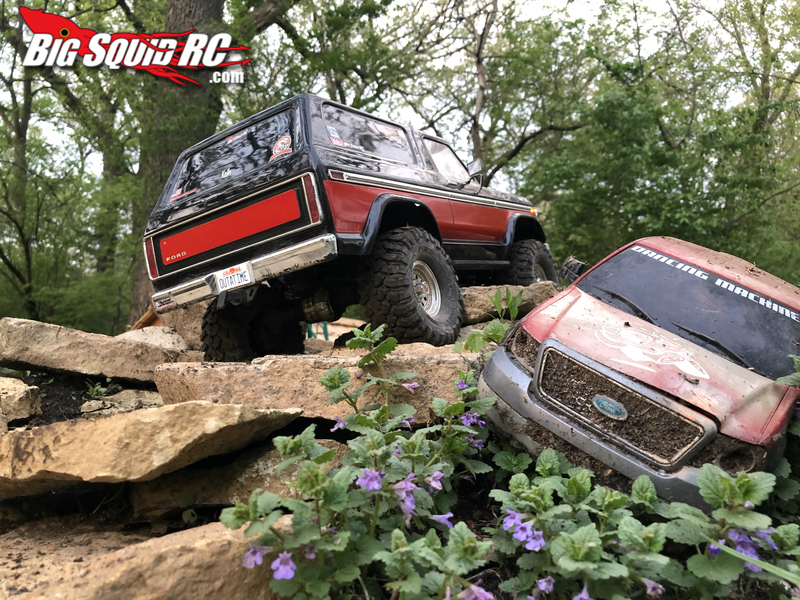 RC4WD is definitely known for their hard bodies and massive variety of scale parts and accessories, there’s no doubt about that. Now with them starting to release Lexan bodies it will let you get an amazing scale looking body at a fraction of the cost. Tires are also becoming more scale every day. For a scale junkie, like me, being able to buy the exact same tires I have on my 1.1 truck for my 1.10 truck is mind blowing. Rims are no different, you could easily spend a few hours looking at options; from dubs to the sleek classic look of wagon wheels. What I’m trying to get at is that there looks to be no lift off the throttle for the scale world right now, the sky is the limit. Every month something new and exciting comes out and is a must have. If you haven’t checked out the Big Squid Podcast, I strongly recommend it. Episode 3 has an amazing interview with Vice President Of RC4WD Tom Allen. He gives us a little hint of some very cool items getting ready to come out. I’m hoping one day we will start to see more RTRs come with full interiors; maybe even a dashboard that lights up like the Cross RC SG4. Only time will tell and at the rate the scale world is turning right now I don’t think we will have to wait too long. If I were to guess I would say we would see something like that coming from Horizon. Horizon already makes sure you can see in the dark with a lot of their vehicles and the included light kits. Now some people may not see it or think the way I do. That’s a good thing, what keeps this hobby alive is everyone’s fresh ideas and different outlooks. So here is to the future because where we’re going we don’t need roads! We need rocks! Little update on my scale off-road park. Its nine days until the summer opener and its almost ready; got a new covered bridge from Crawler Canyon. If anyone has made a crawler course or even a RC race track then you know the back-breaking work that goes into it. 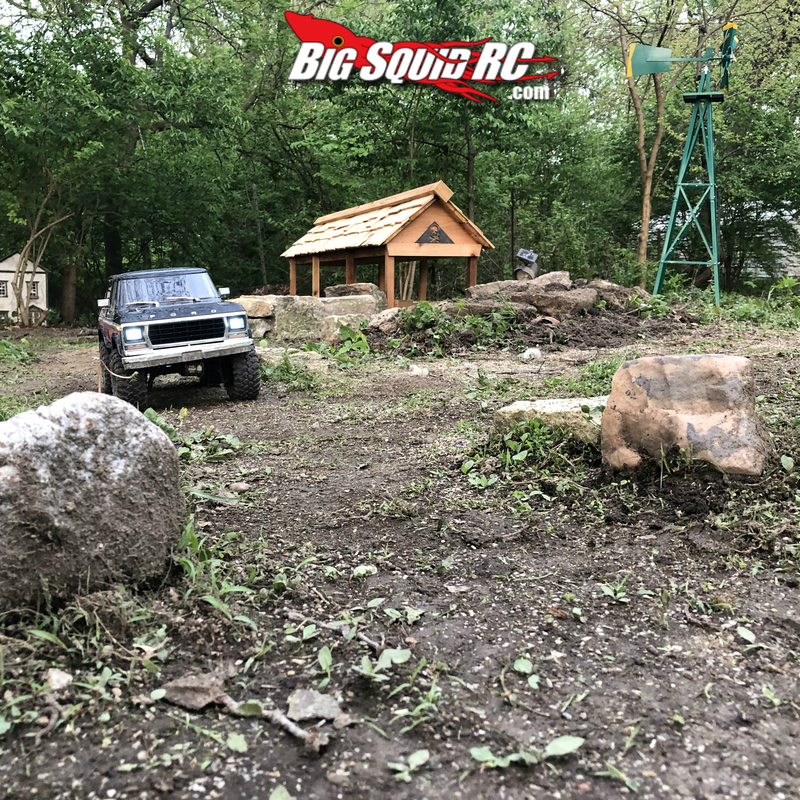 I’m very lucky to have friends to give me a hand, even build me amazing obstacles and a wife who looks the other way when I come home with a pick-up truck full of rocks. 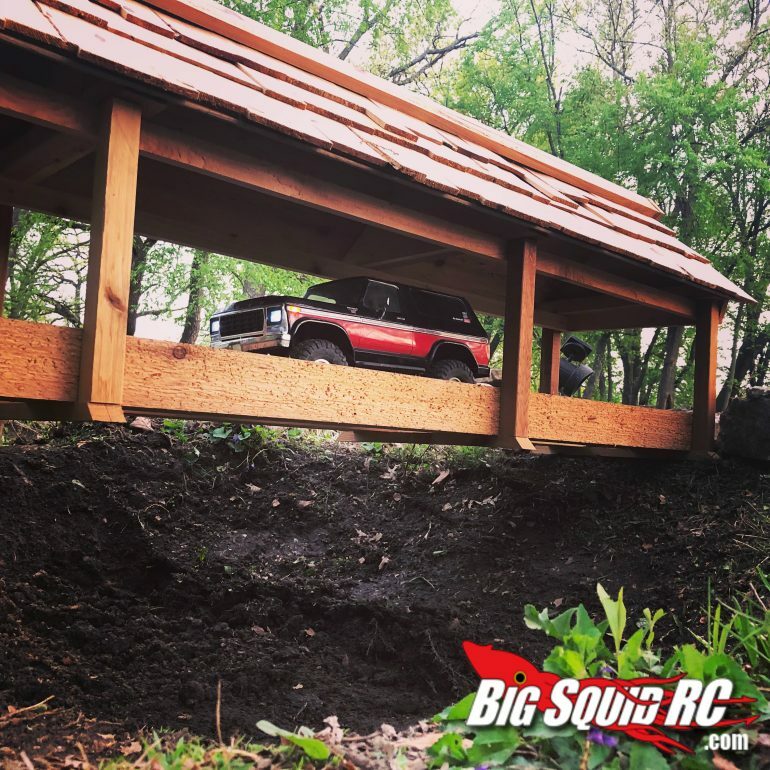 Let’s see some pictures of your homemade crawler courses and race track.